UMP | University of Minnesota Press Blog: You cannot have a just farm bill and eat it too. You cannot have a just farm bill and eat it too. Congress is in the midst of reconciling the House and Senate versions of the 2018 Farm Bill. Time is short. On September 30, the current law expires. No matter what transpires it will still not be enough to fully regulate the food system. The public debate has been framed around work requirements and cuts for the Supplemental Nutrition Assistance Program and the need to support farmers. These are historically interconnected given that the Agricultural Adjustment Act of 1933, the first farm bill, was a response to contradictions between widespread hunger, agricultural overproduction, and falling commodity prices. Given that a majority of hungry people live in cities and most farmers live in the country, urban and rural political interests have had to work together ever since to create farm bills that meet the needs of both constituents. Not only have these contradictions never been fully resolved, they overdetermine the focus of food and farm policy in the United States. As a result, there is rarely an acknowledgement of the benefit of asking how the federal government might regulate the food system differently. Missing from the feud between Republicans and Democrats is a larger and needed conversation. Is the Farm Bill the best policy tool to regulate the food system? There is reason to believe it is not. The current debate again elides considering how to integrate food and farm policy in the United States with holistic policy tools that speak to the entrenched problems that farmers, eaters, and activists have been identifying for decades. Corporate power, widespread food insecurity, unhealthy food, environmental degradation, exploitation of food-chain workers, low prices for farmers, and food system vulnerability to economic and ecological shock are just a few pressing matters. Although the consistent stream of media, from Food, Inc. and the Netflix series Rotten to sharp blogs like Civil Eats, has elevated the significance of food systems in popular culture, the increased public consciousness has not translated into new policy tools. The narrowness of the Farm Bill and the fact that it is an omnibus piece of legislation that Congress renews every five years or so suggests that most Americans are likely not often paying attention to food and farm policy. When they do, it is the public debate is dominated by a limited set of issues. This is especially problematic given that at least fifteen federal agencies are responsible for regulating the food system. There are, however, alternatives to the Farm Bill. What if instead of letting a few issues stand in as the entirety of what is essentially an imagined food and farm policy, policymakers were guided by an approach to food system policy making that addressed some of the root problems? Before President Barak Obama’s State of the Union Speech in 2014, four prominent food writers and activists wrote an opinion in the Washington Post calling on him to address the need for a national food policy. As Mark Bittman, Michael Pollan, Ricardo Salvador, and Olivier De Schutter note, “food touches everything from our health to the environment, climate change, economic inequality and the federal budget. Yet we have no food policy — no plan or agreed-upon principles — for managing American agriculture or the food system as a whole.” Although President Obama did not heed this opinion, this set in motion a national conversation among food activists about how they might push this agenda forward from the grassroots. Integrative policy alternatives are already in place around the world at many governing scales. Cities have adopted comprehensive food plans to inform food system development. States like Minnesota and Michigan have adopted food charters to guide policy making at all governing levels within the state. Countries like Canada are leading the way with working toward holistic national food policies that cut across federal departments. Perhaps an alternative to the Farm Bill is not so implausible. There is also political support for such an approach. Grassroots food activists have led the rapid spread of food policy councils over the last decade. 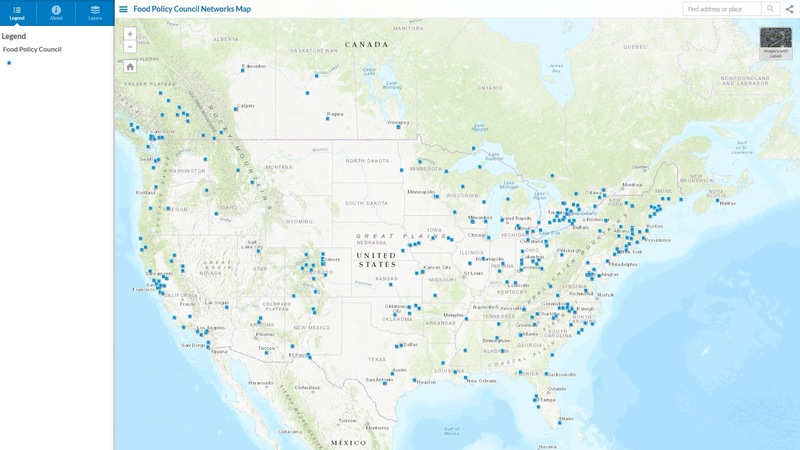 There are at least 260 food policy councils in the United States, the main work of which is to engage and include many different food system stakeholders and create strategic and policy planning for food system development. List of food policy councils in the United States and Canada. Johns Hopkins Center for a Livable Future. Additionally, the American public wants better food policy in a number of areas, including improving dietary health and food access, supporting food-chain workers, and promoting sustainable agriculture. In response, the food movement has worked to build political power across the diversity of food system issues with new organizations such as the HEAL (Health, Environment, Agriculture, Labor) Alliance and initiatives like the 50-State Food System Scorecard by the Union of Concerned Scientists. But what might be a strategic frame around which to solve many pressing food system problems with policy? The growing power of food justice suggests one promising path. I have been researching the rapid spread of the food justice movement for nearly a decade. 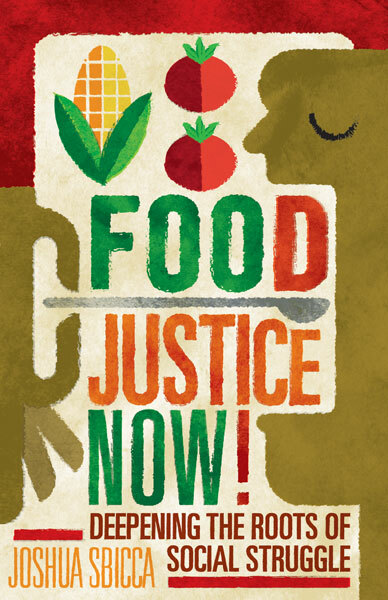 Food justice is the fight for social justice throughout the entire food system. If we understand the food system to be a system of systems then this means it is a fight that extends into our economic, political, social, and ecological systems. By proxy, this suggests that much like there are many federal agencies that play a role in regulating the food system, food justice is an applicable framework across issues within the food system. The question then becomes, how do we integrate a different set of values that mandates federal agencies to consider equity questions when deciding how to carry out their regulatory obligations? If we want to get to the root of many food system problems, this is a prerequisite for success. 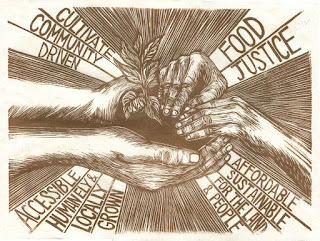 Across the United States, food justice activists have elevated the focus on equity. National conferences like the much-loved Growing Food and Justice for All Initiative Gathering provide the opportunity to reflect on the values of the movement and debate the effectiveness of different initiatives and campaigns. A relief print by Meredith Stern. The most comprehensive statement of purpose to come out of one of these convergences is the Principles of Food Justice, drafted at the Food + Justice = Democracy Conference. What is striking about this document is that it historically and sociologically positions the food system within its proper context. Colonialism, capitalism, institutional racism, and patriarchy are not just a backdrop to the story. They are the interrelated systems that have produced and continue to drive food system problems. One initial step to intervene in these systems that lays the groundwork for a national food policy might be to create a national food strategy. To be effective, the strategy would have legally binding norms and goals that direct federal directives, plans, laws, and policies; require agencies to reform past policies; and receive adequate funding. As a reference point, the National Environmental Policy Act is a procedural law passed by Congress that mandates all federal agencies to submit environmental assessments and impact statements for all their proposed actions. A coordinated strategy centering food justice as the regulatory backbone informing food policy could operate similarly. To operationalize the response to structural inequalities in the food system, several issue areas are of primary interest: land, labor, urban and rural community development, health, self-determination, and environmental sustainability. Mandating federal agencies to carry out food justice assessments and impact statements of their food system policies would go a long way toward integrating food policy in the United States around a new set of values. The Farm Bill is not the best policy tool to regulate the food system or advance food justice across sectors. But maybe in the next five years, the food movement will continue to unite around the need for a national food policy and strategically come together around an equity framework for reconfiguring our food system. Joshua Sbicca is assistant professor of sociology at Colorado State University. He is the author of the new book Food Justice Now! : Deepening the Roots of Social Struggle. 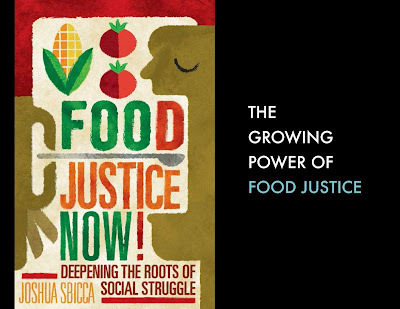 "By highlighting sites where justice, rather than food, is the primary motivator of social action, Joshua Sbicca’s timely and important book takes the conversation about food justice exactly where it needs to go." "Can a food justice dialectics with a ‘radical imagination’ and strategies for change ameliorate economic and ethnoracial inequities? Joshua Sbicca’s searching analysis broadens food politics to new terrains of social movement building and struggle essential given today’s revanchist politics."